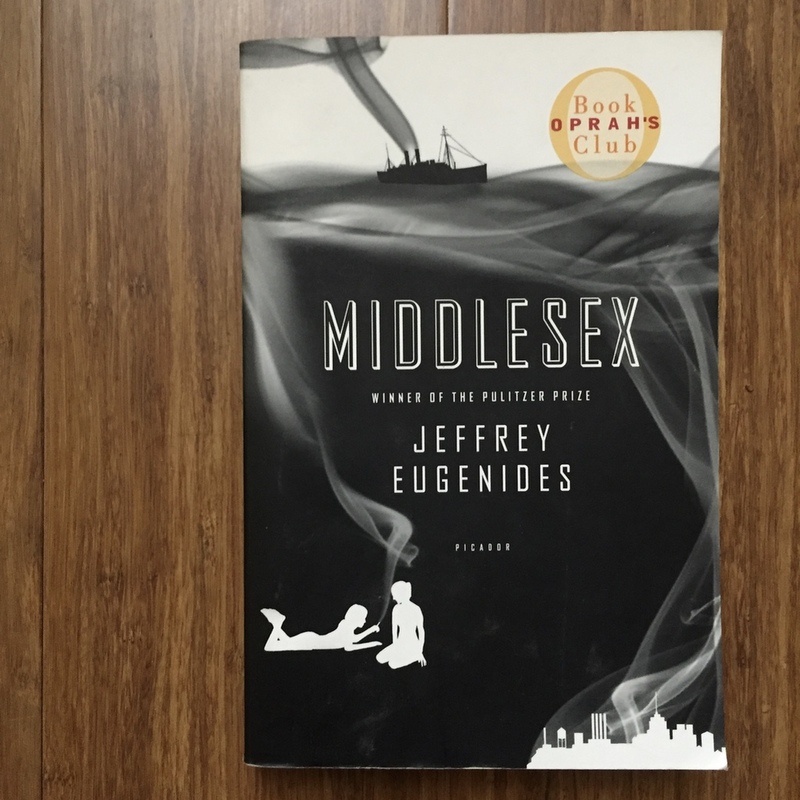 Jeffery Eugenides’ second novel, Middlesex, is the story of Calliope Stephanides, later Cal, who is born a hermaphrodite. Callie is raised a girl, until at age fourteen in the throes of puberty, he starts living as a boy. Though the book is about Cal and his gender identity, the transitional scene doesn’t happen until about 80% into the story. This is a multi-generational epic, devoted to the story of how the recessive mutation on the 5th chromosome, which caused Cal’s hermaphroditism, came to exist and be passed down through his family. Actually … let me clarify. The first time I read Middlesex in early 2008, I listened to the audiobook, and I wasn’t sure whether or not I liked it. But I’d just finished and fallen in love with Eugenides’ first novel, The Virgin Suicides, so I decided the obvious next move was to pick up a physical copy of the book and read it again. It was on that second read that I decided that I unabashedly loved the book. In this 2002 interview with Powell’s Books, Eugenides said of his narrator: “I used a hermaphrodite not to tell the story of a freak or someone unlike the rest of us but as a correlative for the sexual confusion and confusion of identity that everyone goes through in adolescence.” I was 21 when I first read the book, so … right in the thick of that confusion, and Cal’s story resonated with me. Interestingly, he is an omniscient first person narrator, making sense of his family story. It’s an investigation (as is The Virgin Suicides) and though it’s thorough and meticulous in wrapping up three generations’ worth of loose ends, there’s an emotional center. Cal feels the emotion of each scene in his grandparents’ and parents’ lives, and the reader feels it, too. I don’t think I caught that on my first reading, but as I’ve reread it (and reread it, and reread it again) there are deeper layers to be discovered. Prime example: there’s an interesting shift that happens after Cal’s birth, when he becomes the main character of the story – he actually becomes less confident in his narration. It’s said outright in the text, but it didn’t register with me until subsequent readings. It’s very subtle and clever. Publisher’s Weekly, in the starred review that was given to Middlesex, notes that the novel is ahead of its time for the detailed history of Cal’s genetic makeup. Maybe it was on the subject of gender identity, too – I don’t really think it’s my place to say – but in the thirteen years since its original publication, that conversation has changed. If Eugenides were to rewrite it today, the novel would probably be a little different – part of me wonders if the novel would be as well received today with the vitriol that sometimes accompanies material on the subject – but I think it is very sensitive to the issue. Eugenides was awarded the Pulitzer Prize in 2003 for Middlesex. Margaret Atwood’s The Handmaid’s Tale is the story of Offred, an historical figure in the dystopian country of Gilead, where women are ranked only by what they can contribute to society: offspring. This was the first of Atwood’s novels that I read (though I literally *just* finished Cat’s Eye, and plan to read the MaddAddam trilogy as part of my reading challenge this year!) However, I read and loved her poetry as a writing student in college, and found the writing in The Handmaid’s Tale equally lovely. I read it for the first time in 2013, just a few months before Joel and I were married. I’d borrowed my mom’s copy, and when I returned it, she mentioned that she’d been exactly the age I was when she read it, just a few months before I was born. As you may recall, I was also going through a bit of a post-apocalyptic/dystopian fiction phase, and this perfectly fit the bill. 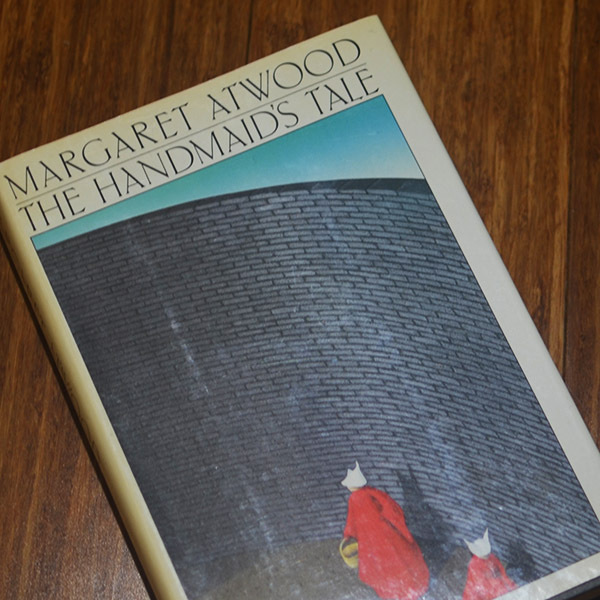 While Atwood’s dystopian society is sometimes unfavorably compared to those of Brave New World and 1984, it is still a deserving companion to those classics, and features some notable elements of a post-apocalyptic society: assigned roles (for the women of Gilead), and an underground network attempting to stage an uprising. It was interesting to read the 1986 New York Times review of The Handmaid’s Tale that criticizes the book for not being recognizably plausible. But reading it 30 years later, when the overwhelming majority of our politicians are still white men and women’s bodies are seen as a political issue, it still hits home for me. The detail that sticks with me most about The Handmaid’s Tale (and that it had in common with Cat’s Eye) is the somewhat accidental feminism of both protagonists. Offred remembers her mother as one of the bra-burning feminists of the 1970s, but Offred herself becomes the historical figure in opposition of the institution that oppresses women. She makes connections in the network of people who are working to bring down the leaders of Gilead, but never thinks of herself as one of them. (Likewise, the protagonist of Cat’s Eye joins a group of feminist artists, but never feels like one of them.) Though neither is outspoken about it, their small, everyday actions add up to make a powerful impact. Though Atwood has been recognized for the feminist themes of her novels, the real reason to read them is her writing. She is meticulous in detail, poetic, and often subversive. This is the first post in a new blog series – my favorite books. They’re meant to be a companion to my book reviews, but instead of trying to convince you to read a book that I liked, these posts will explain why my favorite books are my favorites. Basically, it’s an excuse for me to re-read books that I’ve already read countless times. 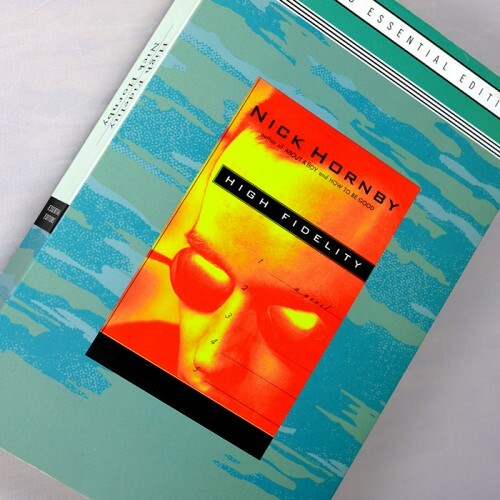 There’s no better book with which to begin than Nick Hornby’s High Fidelity. I read it for the first time in 2008 when I was 21, A.K.A. my formative years. On the surface, High Fidelity is about a guy and his relationship, but deep down, it’s about the ephemera of pop culture. It’s about how we choose music and movies and books that speak to us and decide that the things we like are indicative of what kind of people we are. The protagonist Rob and his friends spend countless hours making lists of their top fives: top five songs about death, top five movies, etc. As a college student, I was obsessed with keeping my myspace and Facebook pages updated with my favorites books, movies, and music, so that my friends could keep up with my evolving tastes in pop culture and thus, I thought, with my evolution. I related so much to Rob at that first read-thorugh because of this world-view. Like Rob, I didn’t really understand how to relate to other people if we weren’t talking about movies that had come out recently or weren’t comparing lists of favorite books. Re-reading High Fidelity in 2014, what resonated with me was Rob’s long-term relationship with his girlfriend, Laura. On page one, they’ve just broken up, and over the course of the book, Rob considers their relationship and a reconciliation. This is probably because Joel’s and my first wedding anniversary is right around the corner and I’m feeling sentimental. But even knowing what would happen at the end, I was really moved by Rob’s introspection about what went wrong in their relationship. ***While we’re talking about High Fidelity – if you’re thinking “yeah, yeah, this sounds like the kind of book Jennie would like. I watched the movie, that was good enough for me,” or “I saw the movie and it didn’t make me want to read the book at all.” And you guys. I’ve seen the movie, too, and there’s a reason I made no mention of it in my post about good movie adaptations. I know that people like it, and it’s definitely not a bad movie, but it lacks the depth of the book. The Publisher’s Weekly review says High Fidelity “is not quite as hip as it wishes to be” and I think that’s a fair statement. Also, re-reading it nearly 20 years after it was originally published, I’m not sure it holds up. But that might be a bit of a cultural divide, as I’m not exactly an expert on British cultural references from 20 years ago. I’ll wrap this post up by telling you that it had been about four years since I last read this novel, and there was a little part of me that thought “wait, why did I like this book?” which really surprised me. I think that a major reason I’ve counted it among my favorite books for so long was because I believed that liking this book said something about who I am as a person. In the ensuing years, I’ve kind of stopped caring about creating lists of favorites, and expecting my friends to have the same taste in music or books as I do. I kind of assumed that I would relate to Rob’s growth in the book more because of that, but actually, it made me like the character less. But I will continue to count it among my favorite books, mostly because I have for so long that I’m not really ready to give up on it.